NOTHING IS FINAL. NOTHING IS ABSOLUTE. EXCEPT ME, OF COURSE. I still want to cry when I think that Sir Terry Pratchett has joined Death and we will not see any more words of wisdom from his pen. Discworld’s Death is one of my favourite, absolutely fair, a bit fearsome, but utterly endearing in his simultaneous interest and bemusement in humanity. I love Sandman’s Death, who is present both when a child is born and when a life passes. She’s nurturing, wise, and has gorgeous style to boots. I simultaneously marvel and pat myself on the back at my ability to mention Catherynne Valente in all my Top Ten Tuesday post. 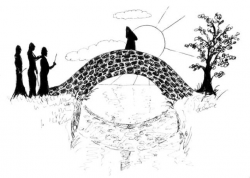 Deathless retells the story of Koschei: the wicked villain of Russian fairy tales – it turns him into a love interest, but in a way that’s a lot more interesting than you think. The book is devastating, heartbreaking, and utterly beautiful! “Death comes for us all in the end. How could I not love him? The theme of death was always integral to the tale of Harry Potter, but to see him in all of his inevitable greatness in the Tale of Beedle the Bard was delightful! Warning: I have not finished this book! But Death and his narration are some of my favourite things, for he remains a compassionate and curious observer of human nature in the midst of horrors. Don’t spoil me for the book please, even though I don’t even see how this could end in anything BUT TEARS. As a rule, they say humans haunted by a shinigami have nothing but misfortune. Ryuk is one shady mofo, but watching him gleefully observe as Light starts on his path into madness and darkness was so entertaining. Any shinigami who has the balls to groom a genius scholar into a monster just for the sake of boredom has my grudging respect. WOW. I failed. I could only think of 6… I swear I had more when I was concocting this post in my mind. People, please supplement with your own favourite version of Death! Tell me, do you like seeing personification of an idea as a character? The Book Thief would definitely have been on my list for this theme as well! Great post! Me too, they are just such an interesting way to examine humanity in the context of those ideas :D! I must finish reading The Book Thief! Clever topic but I was wondering how you’d be able to come up with 10. I can only think of 2 (plus the Grim Reaper in Family Guy haha). The Book Thief will DESTROY you. That book and movie just gave me multiple fatal stab wounds to the heart. Great topic! I personally love Death in Sandman, my favorite among the Endless. 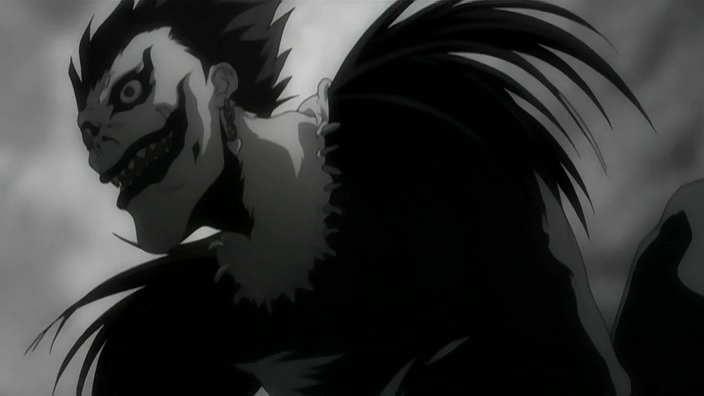 Ryuk is SO creepy in Death Note, just by his physical appearance he inspires the need to run in the opposite direction. oh wow, I couldn’t even think of one! lol. great topic! I also shed many tears when I heard he passed away *NEVER GETTING OVER IT* I still haven’t read all the Discworld books though, so I still have new works of his to discover. I have to say, I haven’t read all of the books, too. There are just so many! And I can only buy them bit by bit. 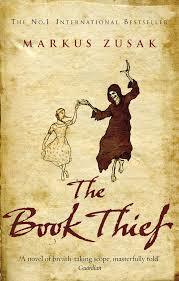 I’ve never read The Book Theif because everyone talks about how heartbreaking it is and I’m so scared! I know I’ll read it one day though and will have tissues nearby. I haven’t read These Broken Stars, but there’s a Death element to it?! Interesting, I shall have to check it out promptly, I actually just bought a hard copy yesterday! What an awesome topic!!! I actually haven’t read any of these yet – HP and The Book Thief are on my “to get to at some point preferably sooner rather than later” list. I can’t think of any others from books I have read though. I absolutely loved when Death is portrayed as a character. I find you see more of this in TV shows, but I love when a book incorporates this, as well. I’m trying to think of some at the top of my head. I remember The Dark Elements series by Jennifer L. Armentrout had a very small part where the character meets Death. OH! Grave Mercy by Robin LaFevers! I haven’t finished it, but that one has a really interesting Death character. Yes. There’s plenty of Death in cinema and tv but I wanted to stick to bookish ones for this post! I need to check out one of JLA books as they seem to be so popular! Grave Mercy also looks awesome based on the premise alone. Thanks for the recs, Sarah! I LOVE your choice of topic! This is so awesome. I cannot relate to any of these, but I currently have The Book Thief on my shelf and I NEED to read it! It sounds so damn good. In fact, I started reading it last Christmas I think, but put it down after the first chapter for some reason! And Death Note! I haven’t watched all of it, but I’ve definitely seen some episodes and I love it. Yesss! Read it with me at some point, I’ve been putting off finishing the book for the longest time. I actually started it end of last year as well! Death Note does get a bit repetitive towards the end, but the show is just so well plotted overall! We shouldn’t orally read it together! I’ll need to re-watch it sometime. I actually haven’t read any of these books expect Harry Potter. But I think the use of death as a character is pretty damn awesome. Thank you! You should definitely check out some of the books above, they are some of my favourites ! After reading The Book Thief I thought the choice of having Death as the narrator only made the book more powerful and thought-provoking. This is a great topic and I’ve heard a lot of great things about Death Note and Sandman. The Book Thief really does sound phenomenal, I need to finish reading it ASAP! I definitely recommend both Death Note and Sandman, since they’re manga and graphic novel, it will take you super quick to get all caught up! I love this topic. Death in The Book Thief is such a beautiful and likeable character. I loved hearing his thoughts and narration throughout. I hope you enjoy the rest of the book! I can’t wait to finish the rest of the book! Thanks for stopping by! 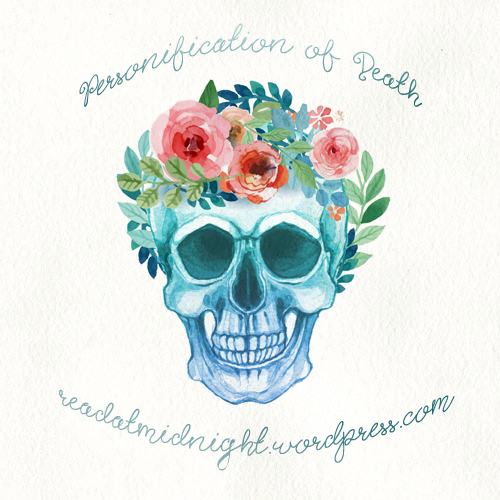 I don’t know that many personifications of death in fiction, haha. xD but I do know the one from HP of course. Have you read that theory about death and the three brothers? I haven’t heard of that theory but I will get Google to assist me promptly! Yeah she told me who dies *cries* ugh. Worst spoiler ever. I know all these Deaths (okay not all but some I’m familiar with)! I was expecting you’d mention Koschei. He seems utterly swoon-worthy! What I did not expect was that you’d mention DEATH (with all the CAPS, baby!) From Terry Pratchett’s works. That triggered severe fangirl reaction in me and I’m afraid I’m going into some sort of shock here. He is amazing (<- that word is overused, I know) but seriously, I love DEATH. So funny, so just and so MIGHTEHHH. I'm feeling guilty for reading Pratchett's works after 6 months of his passing….. all the feels. I can see how he's so praised now. I still have to read Death from Book Thief and Sandman! Death Note I have to rewatch! What a great topic for a freebie and I absolutely love every single incarnation of Death on your list. And I feel there should be more for me to list here for you but like you, I cannot! Thank you! I swear I had like 8-9 when I was listing them off in my head haha! Thanks for stopping by! Super cool idea! I’ve only read the Harry Potter series of the books on this list, and I totally forgot about Death in that series! So creative! Death played such a small role in HP but I was getting desperate for characters haha. Thanks for stopping by! What an interesting list! Great idea! This is such a creative topic! I’ve read the last 3 from this list and would have also listed them if I was putting up this list. I know of the Discworld but have not yet read the series, I should really give it a whirl, as well as Deathless by Catherynne Valente and Sandman by Neil Gaiman. I really couldn’t think of a character from a book but one of my favorite personification of Death would be from Supernatural, he is actually one of my favorite characters from the show. I highly recommend Discworld, if you’ve read Hitchhiker’s Guide to the Galaxy and enjoyed it, you would love those books! 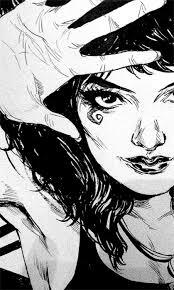 Deathless and Sandman are also books that are close to my heart, would highly recommend them! I thought of Death in Supernatural when I was making the list but left him off because I wanted to stay book-related -but I did really enjoy him as well! Wow, you may have failed to think of 10, but this list was so interesting and inspired it doesn’t matter! I love the diversity of books you’ve managed to think of, and I’m going to have to run off and research/read some of these! Especially Catherynne Valente as I’ve never actually heard of her, but I can see you have a great passion for her work. I’m also really sad that Sir Terry Pratchett passed away, I’ve been passing myself reading his Discworld novels, just to make them last longer! Thank you so much for your kind comment Rachel! I am trying to savour the Discworld books so I have Pratchett books for the rest of my life. I would highly recommend Catherynne Valente as well. Thanks so much for stopping by! This is a good list, and you included Ryuk! He freaks me out when he’s shown onscreen close up. That he/she does! And it’s such an interesting way to confront humanity! Ha, such a cool theme this week! Tbh, I wouldn’t have been able to think of many either – The Book Thief is the only one that really stands out for me! Haha thank you! I swear there are even more but I just could not think up of any XD This will bother me for the rest of the week. My favorite depiction of death is Piers Anthony’s On A Pale Horse, which is wholly devoted to the character of death. The whole series (The Incarnations of Immortality) is worth reading, but the first one about death is probably my favorite. That series sounds fascinating! Thank you so much for the rec, I’m definitely keen to check the series out! I also had such a hard time figuring out a theme for myself (I did a very basic “Top Ten Books I Read In High School”) so I really REALLY like yours in comparison. I haven’t read any of these books (even Harry Potter…) but it made me more interested in Sandman and The Book Thief! Thank you so much, I hope we’ll both end up loving The Book Thief! I’m working my way through Death Note now. I love Ryuk! That series is so amazing! I can’t decide if I love or am terrified by Ryuk haha! I hope you’ll enjoy the rest of the series. Thanks for stopping by! This is a really interesting topic choice. I haven’t read many books where Death is personified, so I would have a hard time coming up with a top ten. I think there’s even more but my brain has given up on listing haha. Thanks for stopping by! I loooooooved The Book Thief. BEST BOOK EVER. But omg if you love death (har har that sounds so wrong but you know what I mean) you HAVE to try The Game of Love and Death!! IT’S SO BEAUTIFUL. And Death is a girl which is 100000% awesome. Those are basically the only Death personified books I’ve read…omg, wait. Good Omens by Terry Pratchett and Neil Gaiman. Death spoke on all caps so obviously I like him. AND ALSO DEATH IN SUPERNATURAL. But that’s cheating since he’s not a book. But still. 😉 Death liked pizza. I also can get onboard with that. YES I saw that book on your blog yesterday and I am convinced I MUST OWN IT. Female Death are too far and few in between! I thought of Good Omens’ Death as well but he was so similar to the one in Discworld I skipped it ALSO BECAUSE I AM LAZY. And yesss Death in Supernatural was awesome, both the main guy and the Grim Reaper lady! Charley Davidson is a grim reaper. I don’t know if she qualifies as such, but she’s the most badass one I know. Honestly, you’ve gone further than I did because I can only think of a couple. Lol. That sounds like a really interesting series, thanks for the rec :D! She sounds awesome! Ooh, The Book Thief is a beautiful book, hope you enjoy the rest of the book. Thank you! I hope I do too, thanks so much for stopping by! Unexpected topic, Aentee. To my shame I haven’t read any of these books, though I definitely plan to read Catherynne Valente’s novel sometime in the future. Yes look into Catherynne Valente! Highly recommended!! Yours is one of the most creative topics I’ve seen around. I can only comment on HP but I really loved the way death was treated in that. I really need to get around reading Tales of Beedle the Bard. Gah, I’m so behind with commenting … Anyway, GREAT TOPIC! I like seeing Death as a character, it’s such a cool twist to the story. I’ve only read The Book Thief from your list and I really hope you’ll enjoy the book to the end. The Book Thief and Harry Potter – yes! I can’t believe Ryuk didn’t even come to mind! I absolutely love Ryuk; a former friend once made a gigantic Ryuk out of cardboard for me in which she had put my birthday presents haha.